Until November 12, the Ring Video Doorbell 2 is $60 cheaper than its usual price of $200 on Amazon and Best Buy. If you buy one, you’ll also get a free 2nd-generation Echo Dot as an early Black Friday deal. Ring video doorbells give homeowners peace of mind about who’s at their door, whether they’re at home or not. Until November 12, you can save some money on one of the company’s best models — get $60 off the Ring Video Doorbell 2 at Best Buy and Amazon, and get a free 2nd-generation Echo Dot too, all for $140. The Ring Video Doorbell 2 is still the best smart doorbell the company makes, in our opinion, mainly because it doesn’t have to be hard-wired into your home in order to work properly. It can be hard-wired, to be sure, but it also has a battery pack and works with the Ring Chime so you can use it wirelessly. That’s a godsend for people who rent or are unable to hard wire a doorbell on their property. Apart from the great wireless option, the Ring Video Doorbell 2 boasts a 1080p camera with two-way audio, so you can talk to people at your door even if you’re not home. The camera also has motion tracking, and you can set motion zones so that it doesn’t send notifications every time someone walks past your house. There are a few downsides to the Ring doorbell, of course. Like many of the other smart doorbells in our buying guide to the best doorbells, there’s no free video storage, so you have to pay to access it. Plus, the unit is a little bulky. Still, in general, most reviewers argue that it’s among the best smart doorbells out there. 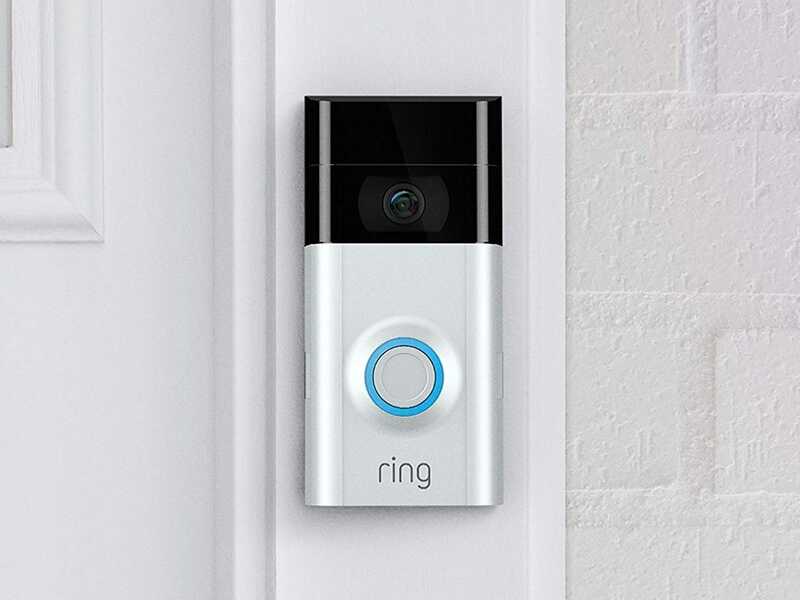 Buy the Ring Video Doorbell 2 for $60 off at Amazon or Best Buy. Also get a free Echo Dot.